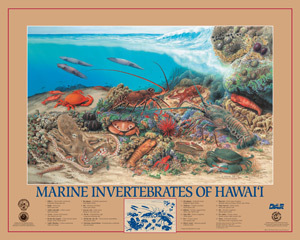 Enhance public understanding of Hawai‘i’s aquatic environments. 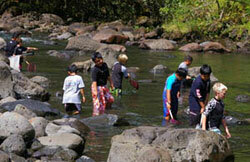 Develop responsible attitudes and a sense of stewardship toward Hawai‘i’s aquatic resources. Encourage public involvement in conservation issues. 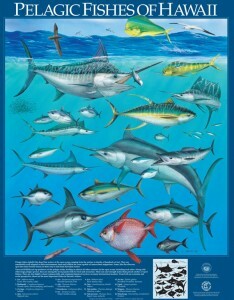 Promote safe and ethical aquatic resource-based recreation. 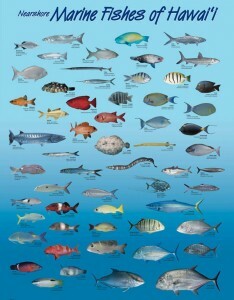 Click on the thumbnail image to download a letter-size pdf version of the poster (335-700 KB), Tidepool and Shallow Reef field identification guide (1 MB), or Native Stream Animals fact sheet (4.6 MB). 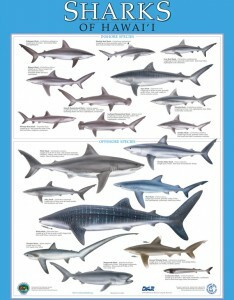 Posters are available for a nominal fee ($3) at DAR offices only. Sorry, we can’t honor mail order requests. 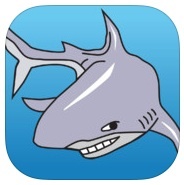 Play the game “Kapu” and save the reef with your pet shark. Click on the image below to get started. 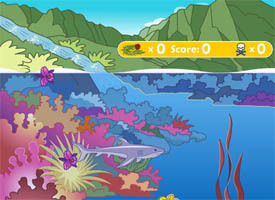 You can also get the game as a free app called “Reef Defender” for iPad or Android. 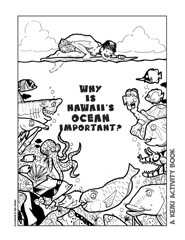 Download a copy of “The Keiki Angler” (25 pages, pdf, 1.9 MB) or “Why is Hawaii’s Ocean Important? 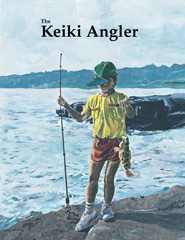 A Keiki Activity Book” (25 pages, pdf, 2.8 MB). DAR education and outreach specialists are available to conduct or assist with various teacher workshops, and for classroom presentations and field experiences on topics related to fisheries management and conservation. Teachers can obtain instructional materials, including posters and identification cards, at no cost from Division offices. The Fishing Education program is designed to enhance interest in and concern for freshwater and nearshore marine environments by introducing children and adults to fishing. 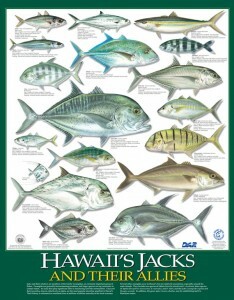 Emphasis is on conservation and catch-and-release fishing. 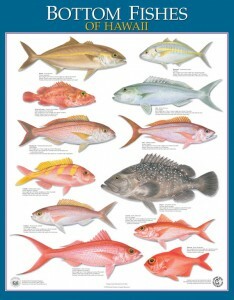 Topics include fishing gear and methods, fish biology and habitat, fishing safety, conservation, and fisheries management. DAR education and outreach specialists work with schools, scouts, community groups, and others, and provide instructional materials, fishing gear, and technical expertise. Education and outreach specialists are available for talks on various aquatic resource topics to community groups, fishing clubs, and other interested groups. We also participate in numerous public events, such as fairs, Earth Day celebrations, boat shows, etc. with displays and giveaways. Please contact the education specialist on your island for more information. The education program also produces and airs 30-second conservation messages on television, which can be viewed on our Public Service Announcements page. See our contacts page for mailing addresses. 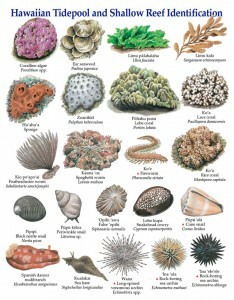 The Division of Aquatic Resources’ Education Program is supported by the U.S. 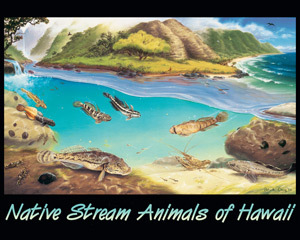 Fish and Wildlife Service’s Sport Fish Restoration Program, which provides funding to states for a large number of aquatic resource education activities.